The fourth and final public debate played to a packed house at the Winter Park Public Library. The moderator from the Orange County League of Women Voters asked pointed questions and candidates’ responses were lively and occasionally went beyond that. Once or twice, the debate heated up enough to draw audible sounds of dismay from the audience. Candidates faced questions about their stance on the Library bond referendum, about the absence of two of the four candidates from the Feb. 10 debate at the Community Center and about the tenor of their campaign mailers and advertising. To see video of the full debate, see below. Video of the three earlier public debates is in the article directly below this one. I predict re-election of Cooper and McMacken. 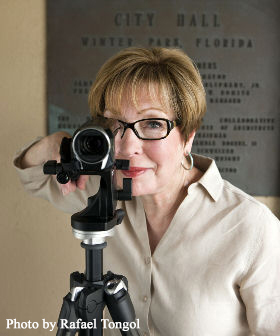 Winter Park voters like their Commissioners fighting with one another. That’s why some years ago, residents voted to have an election in this town every year. And at every election, a constant theme in the voting is that residents elect those who will keep the fight going. There is actually sound reasoning behind this seemingly odd quirk. When fighting amongst themselves, it is nearly impossible for Commissioners to do anything too crazy for too long. Same reason we the Sunshine Laws to make sure that any Commissioners cozying up to one another doesn’t evade the public eye. The relatively few, and thus far largely ignored or forgotten, critical ads mailed to residents by the challengers has left voters with the impression (rightly or wrongly) that the challengers are luke warm, milk toast, go along, get along types. Translation: If challengers are elected there would be at least a year without any fighting amongst our Commissioners. And as election history has shown, that’s not acceptable to Winter Park voters. The challengers this year, as in last year’s election, and the one before it, are running a much too genteel campaign to unseat incumbents in Winter Park. Residents like a fight. Prediction: Cooper wins with 65%. McMacken wins with 70%. WFTV Reporters would do well to actually examine the candidates campaign treasurers’ reports before they do a myopically one-sided story like this. For instance, on January 14, 2016, Macejewski got two $1,000 donations from Bellows affiliated Sydgan Corp and Hannibal Square Ltd, to name only 2 donations from entities who have been and will likely continue to come before the Commission with requests. The list of donors to Macejewski with real estate affiliated interests were too numerous to list here. I note that this type of donation is not included in Lambrine’s proposal for “campaign finance reform”. I also wonder whether her proposal would require a crystal ball for candidates to know exactly what vendors might be coming before them in the fullness of their future terms. Also noteworthy is that although she was under no legal obligation to do so, Cooper returned the WastePro donation. Also noteworthy that although she was under no legal obligation to do so, Cooper celebrated the WastePro donation on Facebook. Since the WFTV story ran, Cooper has been saying that she had to deposit the check by law, blah, blah. There is no law that says you have to post donations on Facebook. She only returned it when WFTV ran their story. Ed, the WFTV hit pieces are lazy “journalism” and don’t delve into any of the other candidates’ donors. If you would bother to do so, you will find a “who’s who” of WP movers, shakers, Chamber of Commerce board members, attorneys, developers, etc. have given large sums to the challengers, as well as the incumbents. What are their motives? I’m sure that Rebecca Wilson, who is not a City resident or eligible voter, gave one candidate a healthy check without any expectation of a friendly ear, should that candidate win. Or could it be that she hopes to get her issue approved the next time she brings a client’s business before the Commission? I’m sure you aren’t that naive, just as I am sure that you yourself have donated to at least one, although you didn’t mention that in your post. What do you hope to gain from your support? Please let us all know. I heard Bill Bryson the other night at Rollins. Bryson is the popular travel writer/humorist whose best-seller “A Walk in the Woods” was recently made into a movie. The first thing he said was, “Wow. Winter Park is such a surprise. What an incredible place.” For which he received a spontaneous applause from the audience. That kind of appreciation is why I’m supporting Tom McMacken and Carolyn Cooper. These are the two–the proven two–who share those values above all else. I’m sure Peter Weldon and Lambrine would claim the same, but they also see Winter Park as a Chamber-backed commercial enterprise to exploit. Grow or die seems to be their idea of success. Maybe so. But not at the risk of losing the special quality that makes us so blessed to be living here. I frankly found the attack on Carolyn Cooper’s integrity not only bizarre but laughable. Look at the candidates’ financial reports. All of them (some more than others) receive donations from developers seeking favor, er, approvals from the City all the time. Dan Bellows, a frequent presence at City Hall, has developments all over Winter Park and they often need variances and other special considerations. He (or rather his LLCs) is also a generous supporter of Ms. Cooper’s opponent. Not that there’s anything wrong with that. In fact, what Lambrine alleges are serious transgressions on Ms. Cooper’s part are not improper and certainly not uncommon for anyone running for election. Democracy works best when there are checks and balances. That we would have four commissioners voting in lockstep against one dissenter is not democracy any more than “two wolves and a lamb voting on what to have for dinner” is democracy. In a community that is so evenly divided among the electorate, a commission weighted toward commercial interests over residential interests won’t be much of a unifying force. Not when the commission can do whatever it unilaterally decides. Winter Park deserves greater consideration than that. The commission we have now will insure that in-depth discussion occurs because three of the commissioners vote their conscience, vote what is good for the community and not for the mythical bottom line. Lambrine’s attacks on Carolyn’s integrity are not so far-fetched. Carolyn took a donation from Waste Pro, and celebrated that donation on her Facebook page. She said she would not excuse herself from the vote. Also, Carolyn said she did not receive any donation from current city vendors. She received a donation from the auditor. It’s not problematic to receive a donation from a vendor, but it’s highly problematic that she lied about it in a public debate. Carolyn talks out of both side of her mouth. She didn’t want to state her position on the library because she has been telling both sides that she is on their side. Carolyn said that Lambrine’s mailer were inaccurate. They are not. Carolyn voted for the raises. Sure, Carolyn might have made whatever motions she made, but ultimately she voted in favor of the raises when she had the option to vote against them. Carolyn needs to own up to her record. The misleading information emanating from the Lambrine campaign is exhausting. If elected… does she similarly plan to mislead constituents with half-truths and innuendo? I was going to take apart each of your distortions one by one, but it simply takes up too much of my time. I know that it is a campaign strategy of Lambrine’s to have surrogates continue to exaggerate and distort the facts. As Lenin said, “A lie told long enough becomes the truth.” And this is Lambrine’s strategy. She must be proud!